The demand for business intelligence is increasing at a rapid pace across all industries in today’s tough economic climate. As senior executives look to optimize existing business processes that can lead to bottom-line and top-line benefits, one option is to tap into predictive analytics, a type of data mining that can be used to make reliable predictions of future events based on analysis of historical data. Getting started: What is the approach? Who should we hire, how do we organize the project and how do we build the environment? Developing a model – for example, issues relating to the preparation of huge amounts of data, training models and statistical application. Identifying and applying the right predictive model. Ongoing maintenance of models and validations. Before addressing these issues, let’s begin with a definition. 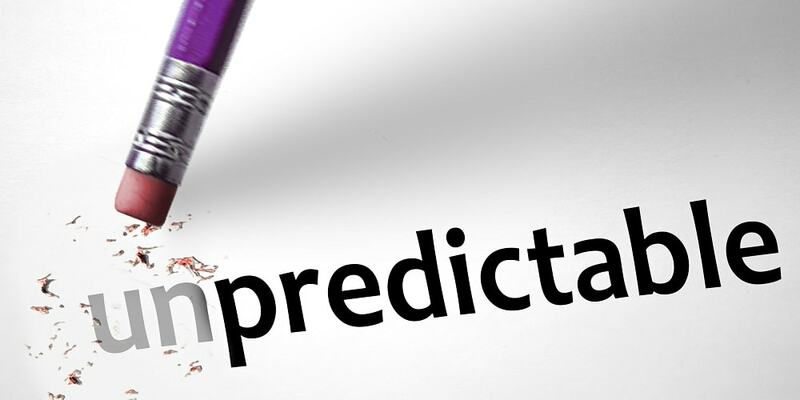 Predictive analytics comprises a variety of techniques from statistical analysis and data mining that analyze current and historical facts to make predictions about future events. In business, predictive models can capture relationships among many factors associated with a particular set of conditions, and can discover and exploit hidden patterns in historical data. Basically, these models ensure that the actions taken today will directly achieve the organization’s goals tomorrow. Predictive analytics can help companies optimize existing processes, better understand customer behavior, identify unexpected opportunities, and anticipate problems before they happen. Vladimir Stojanovski, an engagement manager/solutions architect at IBM, offers a metaphor to describe the relationship between predictive analytics and business intelligence (BI): “If BI is a look in the rearview mirror,” he wrote in his CRM & BI Realms blog, “predictive analytics is the view out the windshield.” While BI is reactive, and looks backward to gauge performance, predictive analytics seeks to use data in real time and helps to make decisions that affect future performance. Target model – Basically targets smaller sets of people who are likely to respond to a particular offer. This helps in increasing response rate and automatically reduces the cost per contact. Churn model – Helps identify customers who are likely to leave, which enables companies to focus on retaining the more loyal customers. Forecasting model – Predicts likely future outcomes. Forecasting models can be applied to project revenue based on past marketing campaign revenues and helps companies take proactive actions to meet their targets. In general, these steps should be followed to develop predictive models. Identify the outputs and key metrics that need to be analyzed. Identify the predictors, which are variables that can be measured for individuals or other entities to predict future behavior (e.g., age, driving record, income and gender), which insurers use to predict the behavior of motorists. The number of predictors in the model should be between two and 15. Anything with more than 15 predictors can make the model too complex and difficult to maintain. Collect data according to the predictors identified (e.g., customers’ demographic data or past purchase transactions). Verify the models and tweak them for better accuracy. Parameters can be used to determine accuracy, including mean of absolute deviations (MAD), mean of absolute percentage errors (MAPE) and Net Lift models, which is used to target undecided “swing vote” clients who can be persuaded by marketing campaigns. Consider a company that wants to introduce a new product to the market. Though the product is new, it is in a product family that already exists. The following analysis, based on performance of the product family during the last few years, could be carried out before the product is released to the market. This could not only help to create target customers but also to increase revenues based on target marketing. Step 1: Ascertain the overall purchase value trend of the product family. Step 2: Evaluate the type marketing campaigns (festival discount, bundling, trade shows, promotions, etc.) that would be most effective for that product family. Step 3: Decide on the channel (direct contact, newspaper, Internet, etc.) which would be most efficient (based on cost and responses) and allocate the cost to different channels based on purchase value. Step 4: Using the responses and revenues from the last few years, extrapolate the expected revenues for the current campaign. This can be done through time series modeling. Step 5: Identify the segments and make clusters based on customers’ demographic factors, product types and channels to prepare the target list of customers. Step 6: Identify any other products that can cross sell with this new product. Develop a business strategy – Identify the key business processes and key performance indicators (KPIs) upon which your organization needs to focus. Create a data warehouse – Get the data in the right format, which can be used to develop models based on those priority KPIs. Identify your resources – Develop the data mining and modeling skills internally to establish those predictive models, or identify a suitable partner who can initially setup the data modeling process and help nurture those predictive skill sets. Develop analytic models – Once the right resources and data sets are available, develop predictive models and validate the models for better accuracy. These models can be verified periodically for better forecasts. Reward the team – Getting the right analytical modelers is a difficult and expensive task, so be sure to compensate the team not only with paychecks but also with rewards such as providing a challenging environment in which to demonstrate their capabilities. I like the metaphor used: If BI is a look in the rearview mirror, he wrote in his CRM & BI Realms blog, predictive analytics is the view out the windshield. But if one wanted to be bit more accurate it should say something like, “predictive analytics is the view out the windshield after you’ve drank 6 beers.” In other words, it’s not a clear view of the future because nothing can predict the future precisely. Nonetheless, I agree that it’s better than no view at all. I agree with Mr. Sahoo’s article. It is well written, and presents a typical Case Study to illustrate his point. However, predictive modeling is only a part of the larger field of Operations Research. I believe that, to appreciate the full potential of Predictive Analytics, it should be studied within the wider context of formal Operations Research. As Mr. Sahoo’s article implies, there is much relevant data that most companies don’t even collect beyond transactional data, which would be critical for building holistic, real time models. Even the data examined via data mining is historic data (though significant predictive analyses can be developed therefrom). Models of a company’s environmental factors (e.g., regulation, current events) will often require external data from many sources as inputs to the full range of Operational Research application which includes simulation, dynamic programming, decision analysis and more, in addition to Predictive Analytics. Thank you, Mr. Sahoo, for piqueing interest in this very relevant topic. It’s nice to see that Dr. Deming “lives on” through his original metaphor of the rearview mirror and windshield. It seems the Six Sigma community is playing “catch up” in the area of predictive analytics. Six Sigma proponents have, for years, preached against using historical data for any purpose because it’s unreliable. Consequently, doing what Mr. Sahoo proposes prevented using “opportunistic data” to help leverage larger, higher impact projects. Even today I have sent abstract after abstract to Six Sigma “Call for Papers” on this topic only to have them rejected. Hopefully Advanced Analytics (predictive modeling, advanced operations research, etc.) will hit the radar screen. Excellent article. The predictive analytics help the business to improve the quality based on the data derived and implement the resolutions based on the data. It is becoming a game changer in the enterprise soon especially in the competitive aspects. Thanks for sharing this valuable article.